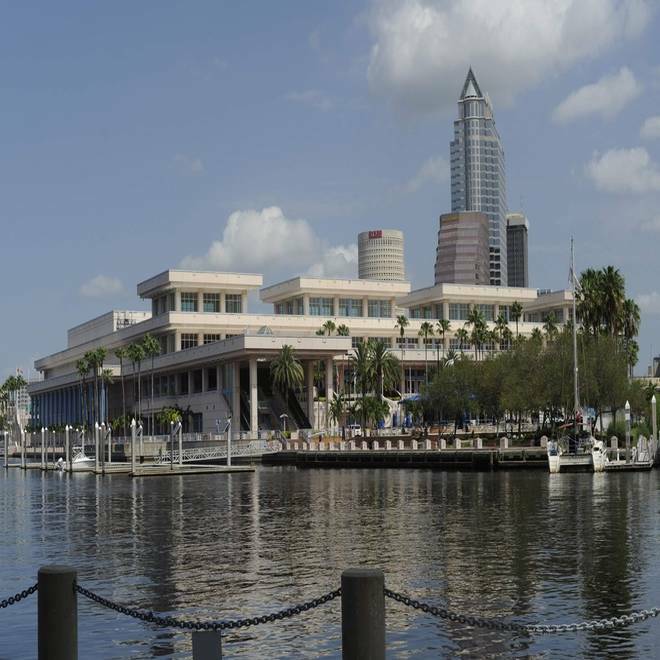 The Tampa Convention Center is seen Aug. 3 in downtown Tampa, Fla. The Republican National Convention will be held in Tampa on Aug. 27-30. Over the next few weeks, thousands of delegates will pour in to Tampa, Fla., and Charlotte, N.C., for the presidential conventions. The 2012 Republican National Convention is scheduled for Aug. 27-30 in Tampa Bay, and the 2012 Democratic National Convention for Sept. 4-6 in Charlotte. The guidebooks, intended for delegates’ traveling companions, too, offer lots of home-spun advice like how to locate quirky, off-beat adventures or find where the locals eat barbeque and other southern specialties. This July 17, 2012, photo shows a general view of Independence Square in downtown Charlotte, N.C. Delegates will descend upon the town for the Democratic National Convention the week of Sept. 3. In Charlotte, the best place for fried chicken is Price's Chicken Coop, a takeout-only joint that hasn’t changed since it opened 40 years ago, said Jodi Helmer, author of “Moon Charlotte.” The historic city is growing and modern, but has retained its small-town feel, she said. In the downtown area, where the convention will be held (called “uptown” by the locals), “there is more than enough to keep you busy for a week,” Helmer said. 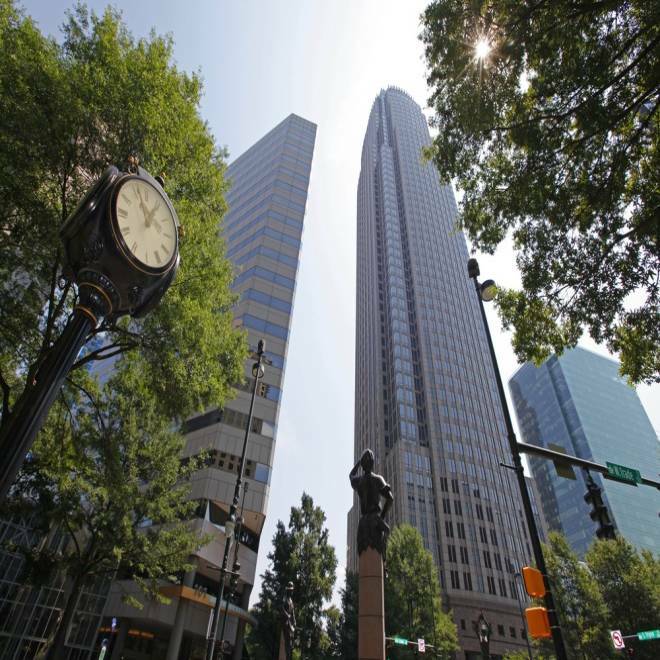 “And uptown Charlotte is incredibly walkable." For restless kids or conventioneers in need of some wholesome outdoor fun, Helmer suggests the U.S. National Whitewater Center, a huge outdoor recreation facility about 15 minutes from the city’s downtown, boasting hiking and walking trails, rafting and rock climbing. “The economic impact and visibility gained for both destinations is akin to the Super Bowl,” Cathy Keefe, a spokeswoman for the U.S. Travel Association, a trade group, told NBC News. The association estimated that the two convention cities and their surrounding areas could see an economic impact of $150 million or more as delegates and some of their families stay in hotels, eat at restaurants, visit area attractions and enjoy the nightlife. In 2004, when the Republican National Convention was held in New York, the economic impact was estimated to be $255 million, according to NYC & Company, the official marketing, tourism and partnership organization for New York City. And travelers accompanying those on official business trips greatly impact the economy as well. About 41 percent of business travelers visiting New York for conventions, meetings or trade shows do not travel alone, the group said. Helmer has a good idea why some visitors like to return to – or at least transfer through - Charlotte. “Our airport has rocking chairs throughout,” she said. The e-books, also free to visitors not attending the conventions, are available until the end of September.